The wraparound cover is by Roz Gibson. Fred is the editor of several Furry short-fiction anthologies. 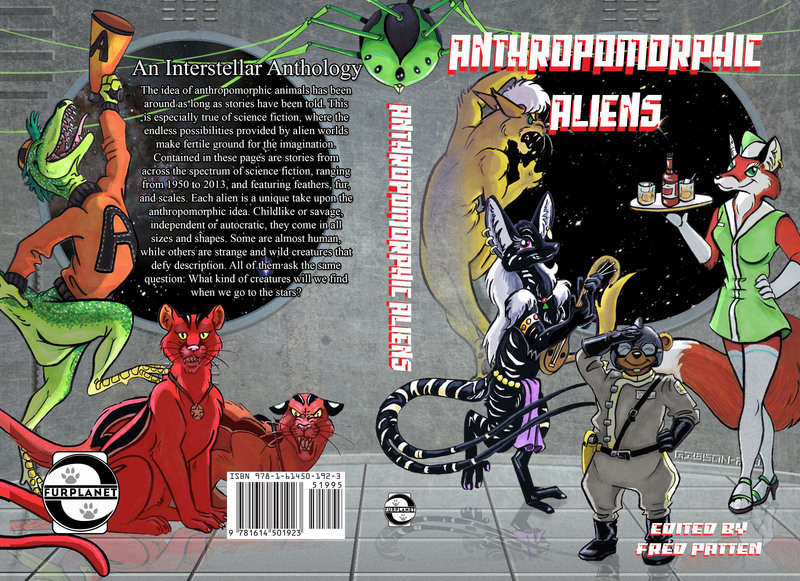 You can get Anthropomorphic Aliens for $19.95 at the FurPlanet table at Anthrocon 2014, July 3-6, in Pittsburgh, or order it from the FurPlanet online store upon their return.